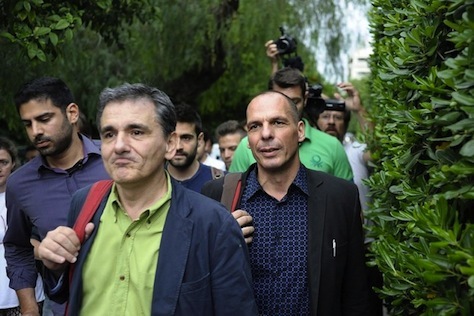 Photo credit to Angelos Tzortzinis /AFP. 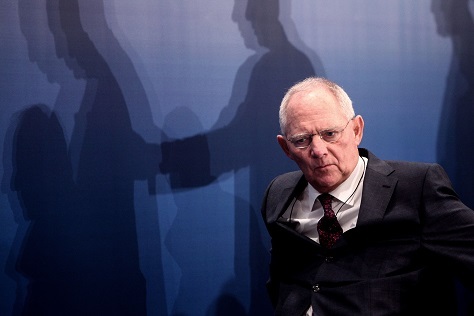 Schäuble’s sharp-tongued wit has been a constant through five years of negotiations that stretch back long before prime minister Alexis Tsipras and the far-left SYRIZA (Συνασπισμός Ριζοσπαστικής Αριστεράς, the Coalition of the Radical Left) took power in January. On Thursday, Schäuble joked to an increasingly concerned US treasury secretary Jack Lew that he would be willing to swap Europe’s Greece troubles for Puerto Rico’s debt crisis. When it comes to Greece, Schäuble is in many ways Germany’s opposition leader, even though he’s a stalwart of chancellor Angela Merkel’s governing Christlich Demokratische Union Deutschlands (CDU, Christian Democratic Party). 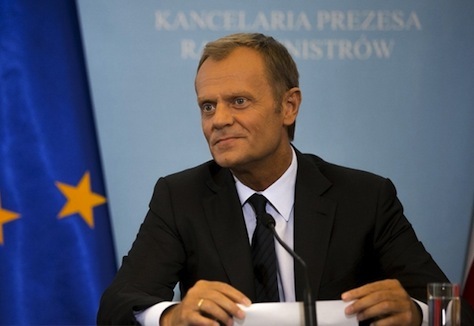 He’s made it clear throughout the course of negotiations that he favors pushing Greece out of the eurozone, a result that other European leaders worry could destroy the single currency’s credibility — not to mention plunge Greece into an even more painful depression. Back in 2011 and 2012, few German politicians — just a handful of grey-haired Bavarian conservatives — were willing to call for Greece’s eurozone exit. Today, however, it’s a mainstream position, even on the center-left. Germany is currently governed through a ‘grand coalition’ between the center-right CDU and the Sozialdemokratische Partei Deutschlands (SPD, Social Democratic Party) that includes around 80% of the entire Bundestag, the lower house of the German parliament. 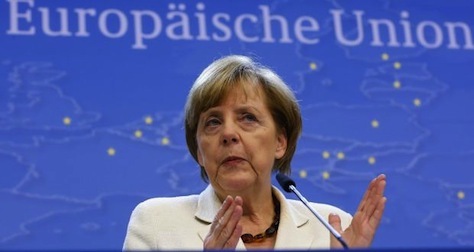 Nevertheless, Merkel is limited in her maneuverability — if she gives too much to Greece, there’s a chance Schäuble could lead a revolt of CDU backbenchers who already worry Merkel has transformed the party into a political amoeba that sways to the path of political expediency. As Tsipras and his new finance minister Euclid Tsakalotos wait for Greece’s creditors to evaluation the government’s probable last proposal for debt relief, there’s a lot that lies in Schäuble’s hands. Even as French president François Hollande has directed his entire economic leadership — prime minister Manuel Valls, finance minister Michel Sapin and economic minister Emmanuel Macron — to help save Greece’s place in the eurozone, German doubts about the deal, a three-year bailout of over €50 billion, could still derail Saturday’s deadline. 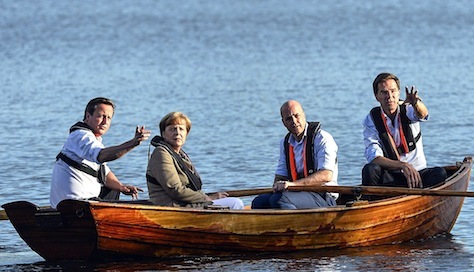 A full summit of the European Union’s leaders has been scheduled for Sunday. With banks running out of money and Greece banks nearing insolvency, European leaders have made it clear that if they don’t reach a deal with Tsipras on Saturday, they will spend Sunday addressing how Greece will exit the single currency. Germany, as the largest member-state, is the largest contribution to any stability funding that comes from the European Commission and/or the European Central Bank. It’s currently on the hook for around €90 billion of Greece’s €5320 billion public debt. Merkel, despite doubts in her own party, has supported Greece’s two bailouts in the past, though she’s done so by demanding harsh strings that satisfy her own conservative flank and, of course, German taxpayers, who are ultimately on the hook for nearly one-third of Greece’s bailout debt. In principle, it was Merkel’s nod toward moral hazard — she couldn’t give the Greeks terms that Spain, Italy, Ireland, Portugal or the Baltic states might soon want. But in practice, it was a sop to the German right, which was growing ever more disgusted at consecutive Greek governments, which haven’t had the strongest reform record. She’s not running for anything in Denmark’s parliamentary elections on Thursday, but even from Brussels, Margrethe Vestager, the country’s European commissioner for the high-profile competition portfolio, looms larger than just about anyone on the Danish political scene — included prime minister Helle Thorning-Schmidt and her main challenger for the premiership. Less than a year into her tenure as the EU’s top cop on competition law, Vestager has moved forward with narrow charges (in the Commission’s parlance, a ‘Statement of Objections’) against Google for allegedly prioritizing search results from its own Google Shopping program over other results. Hardly a week later, she filed charges against the Russian state energy company, Gazprom, for anti-competitive behavior that the Commission argues resulted in higher prices in the Baltics, Poland and Bulgaria. In recent weeks, Vestager also open an investigation into whether Amazon was abusing its dominant market position to restrict innovation and competition in the e-book industry. It’s not just American and Russian companies — Vestager is also looking into allegations that Luxembourg’s aggressive tax deals with companies violated European Union state aid rules, even though most of the tax decisions came during the administration of Luxembourg’s prime minister Jean-Claude Juncker, now the president of the European Commission and who nominated Vestager for the role last autumn. She’s also investigating several European governments for providing assistance to their respective utilities industries. With the world’s attention on a political assassination in Moscow, voters in the former Soviet republic of Estonia go to the polls tomorrow, March 1, with the threat of Russian aggression looming on its eastern border. Three days ago, US troops, as part of NATO exercises, paraded in Narva, one of Estonia’s largest cities, resting on the Russian border, and Russian troops reciprocated with a similar show. Though it felt like a Cold War throwback, the demonstration highlights just how seriously Estonia, a member of NATO since 2004, and other NATO allies are taking the possibility of a Russian incursion in the Baltics. Under that tense penumbra, voters will elect all 101 members of Estonia’s parliament, the Riigikogu, where the center-right Eesti Reformierakond (Estonian Reform Party) currently controls the largest bloc of seats and governs in coalition with the centrist Sotsiaaldemokraatlik Erakond (Social Democratic Party). Some polls show, however, that the center-left Eesti Keskerakond (Estonian Centre Party) narrowly leads the Reform Party, with the Social Democrats and the conservative opposition party, Isamaa ja Res Publica Liit (IRL, Pro Patria and Res Publica Union), trailing close by in third and fourth place. 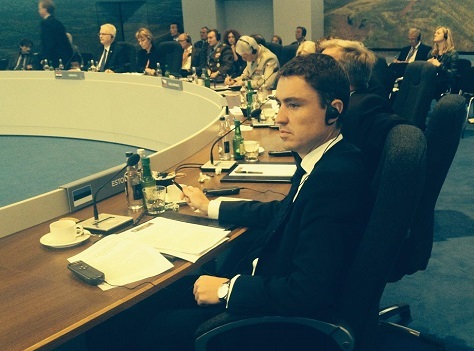 It’s the first time that Estonia’s youthful new prime minister Taavi Rõivas (pictured above) will lead the Reform Party into an election. When longtime prime minister Andrus Ansip stepped down in March 2014 after nine years in office, the idea was that he would switch jobs with former Reform Party leader, prime minister and European commissioner Siim Kallas. That worked out for Ansip, who’s now Estonia’s representative to the European Commission with a ‘super-portfolio’ for the digital single market. Kallas, however, was tripped up by a scandal dating to his days as Estonia’s central bank president in the 1990s, and he stepped out of consideration for the premiership. Other heavy hitters like former foreign minister Urmas Paet also demurred. 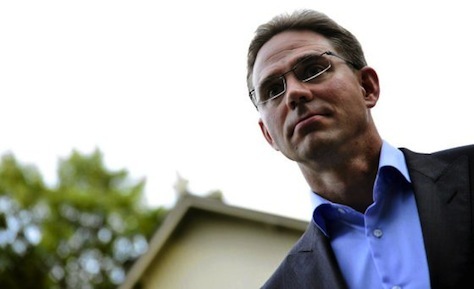 That meant that the challenge fell to the 35-year-old Rõivas, whose government experience included just two years as social affairs minister. Married to pop singer Luisa Värk, Rõivas has been a member of the Estonian parliament since 2007 and is generally seen as close to Ansip. I spoke with RIA Novosti earlier today about the revelations that Luxembourg’s government has been much more intimately involved in granting tax concessions to international companies. Those revelations come less than a week after former Luxembourgish prime minister Jean-Claude Juncker officially took office as president of the European Commission.Marine Le Pen, the leader of the far-right, eurosceptic Front national (National Front) has already called on him to resign. It’s a very embarrassing position for Juncker, because he only took office as the president of the European Commission a few days ago, and he’ll take some perhaps well-deserved political heat for the matter, and it probably reduces his credibility on tax reform matters. Everyone has, in the back of their minds, the example of the Santer Commission, which resigned en masse in 1999 over corruption. 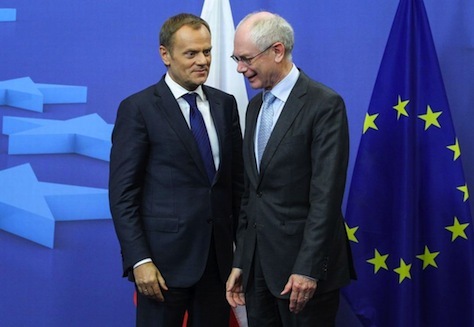 For now, the revelations do not appear to implicate Juncker in anything more than the kind of aggressive steps that state leaders sometimes take to attract foreign development and investment. If, for example, Juncker was found to have taken personal kickbacks in exchange for favorable treatment, it would be a much more serious allegation for himself, for the Commission, and for confidence in Luxembourg’s institutions. But there’s no evidence of that. 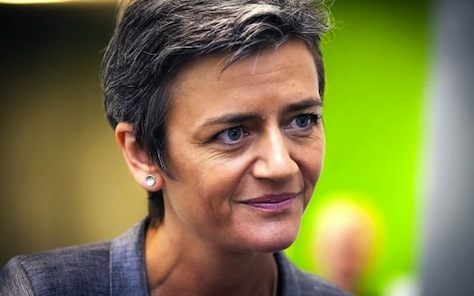 Meanwhile, the Commission is a professional regulatory body, and any investigations into Amazon or other companies that received state aid in potential violation of European law will be conducted by Denmark’s Margrethe Vestager, the EU commissioner for competition, who is a former minister of economic affairs and deputy prime minister. It’s helpful, from an ideological perspective, that Vestager comes from the Danish Social Liberal Party, which should give some comfort to the European Parliament’s leftists. Ultimately, this is less a ‘scandal’ than a valid policy issue, insofar as Luxembourg and other countries have long pushed the envelope in making their jurisdictions extremely favorable to international companies. Note the Irish government’s decision last month to revise the ‘double Irish’ structure so common in the taxation of intellectual property assets. 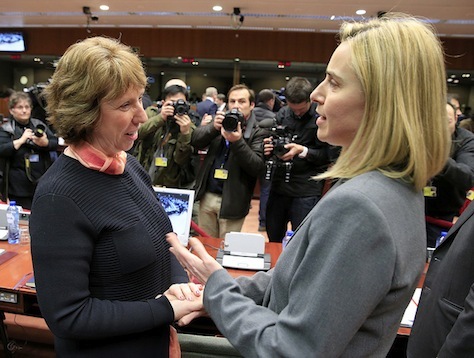 So as the Commission and other EU (and even international) institutions look into these decisions, it will help clarify the line between permissible and impermissible in the future. Marine Le Pen is hardly the best critic on the matter, because her party has long been in favor of lowering taxes and promoting the kind of economic nationalist steps that Luxembourg’s officials may have taken with many international companies. Her call for Juncker’s resignation isn’t credible, but it’s very important for her to maximize support among the eurosceptic French right if she’s going to have any credible shot at winning the French presidency in 2017, a task made much more difficult by the return of former president Nicolas Sarkozy. Bowing to pressure from European parliamentary leaders, the European Council has proposed as its candidate for the presidency of the European Commission Jean-Claude Juncker, the former prime minister of Luxembourg and former head of the Eurogroup, the informal gathering of the eurozone finance ministers. 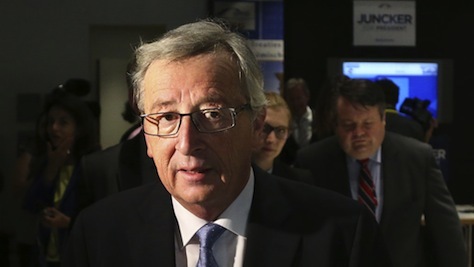 That makes it virtually certain that the European Parliament will elect Juncker (pictured above) as the next Commission president, likely with the full support of the two major pan-European parties in the Parliament, Juncker’s own center-right European People’s Party (EPP) and the center-left, social democratic Party of European Socialists (PES). It also likely means that the PES candidate for the Commission presidency, Martin Schulz, will become the Commission vice president. It’s obviously a defeat for British prime minister David Cameron who, just last week, was still holding out hope that he could pull together a blocking minority to keep Juncker from receiving the Council’s endorsement. But by the time the Council gathered to vote, only Hungarian prime minister Viktor Orbán joined Cameron in opposing Juncker. Not only did Cameron fail to win over allies, he failed to keep both Dutch prime minister Mark Rutte and Swedish prime minister Frederik Reinfeldt, neither of whom are enthusiastic about the prospects of a Juncker candidacy. Contacted by a reporter for the Moscow-based RIA Novosti earlier today, I had a chance to put together some quick thoughts on what the Juncker decision means. Here are my real-time responses, which will double as my real-time analysis on where things go from here. 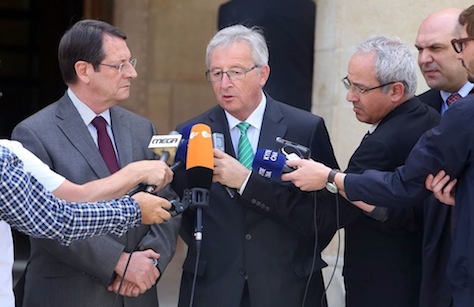 The choice reflects the fact that Juncker was the candidate of the European People’s Party, the pan-European group of center-right, Christian democratic parties, and the EPP won the greatest number of seats in the European parliamentary elections on May 25. 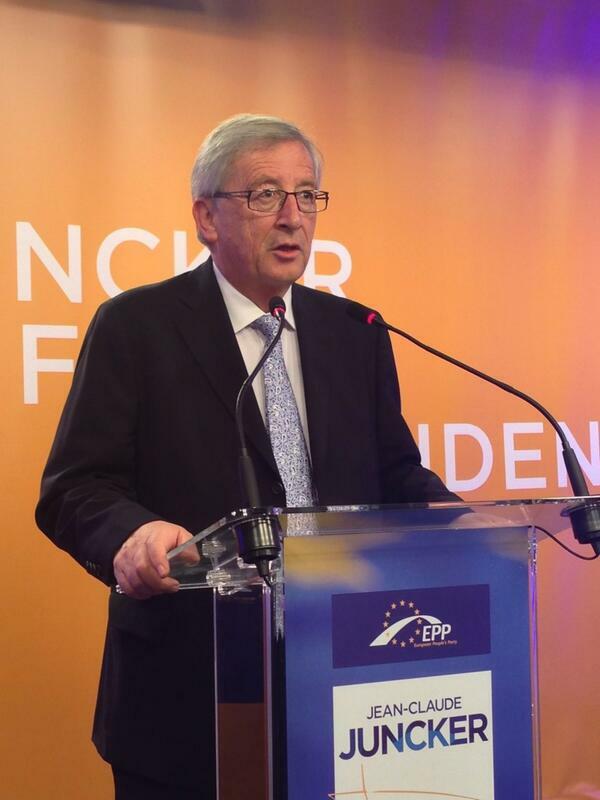 The EPP nominated Juncker as its candidate for the European Commission presidency prior to the May 25 parliamentary elections, just as several other European parliamentary parties nominated their own candidates. The candidates — the German term ‘Spitzenkandidaten‘ developed widespread use across Europe — campaigned throughout the spring, and they participated in a set of debates on the EU’s future. 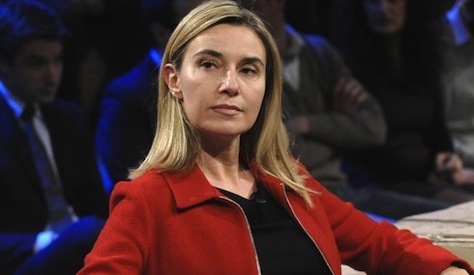 Under the Lisbon treaty, the European Council is supposed to ‘propose’ a candidate for Commission president, which will be ‘elected’ by the European Parliament, with the Council ‘taking into account’ the results of the parliamentary election. No one knows exactly what that means, but Juncker and the other parliamentary leaders believe firmly that the Council must propose Juncker as its candidate. In so doing today, the Council has set an important precedent for future parliamentary elections, though national leaders will be loathe to admit it. Proponents of the Spitzenkandidaten system argue that Juncker represents the will of the European electorate, because he’s the candidate of the party that won the most votes, but it’s not so simple as that. There’s no real indication that the majority of European voters were voting on the basis of this or that Commission presidential candidate. Voter turnout has dropped significantly since the first European elections in 1979, and voters often cast their ballots on the basis of national governments or other factors. 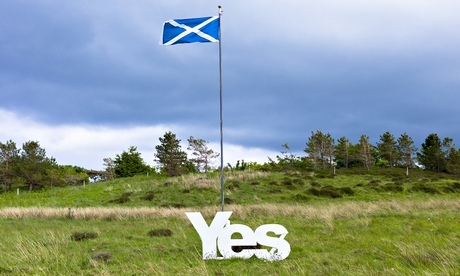 To the extent there was a unifying theme to the elections, it was the rise of euroscepticism on both the far right and the far left, with the victories of groups like the United Kingdom Independence Party, France’s Front national (National Front) and Denmark’s Dansk Folkeparti (People’s Party). 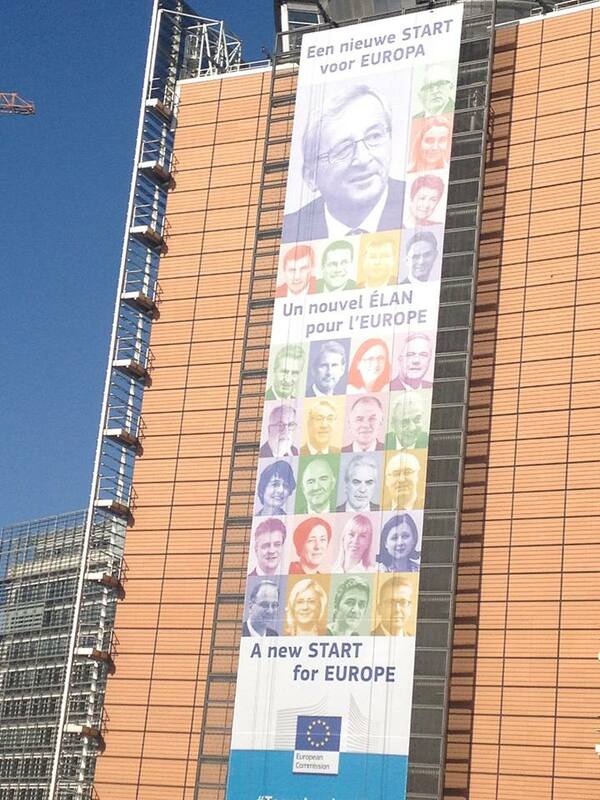 Whatever ‘mandate’ you take away from the European elections, it’s hard to argue there’s a groundswell of genuine democratic support for Juncker. It was only last October that Juncker’s own center-right Christian Social People’s Party suffered so many losses in Luxembourg’s national elections that he was forced out as prime minister after 18 years.